Join me for one of these services in April. I will be at Miracle Place in Louisiana on the 7th at 11 am and 230 pm. 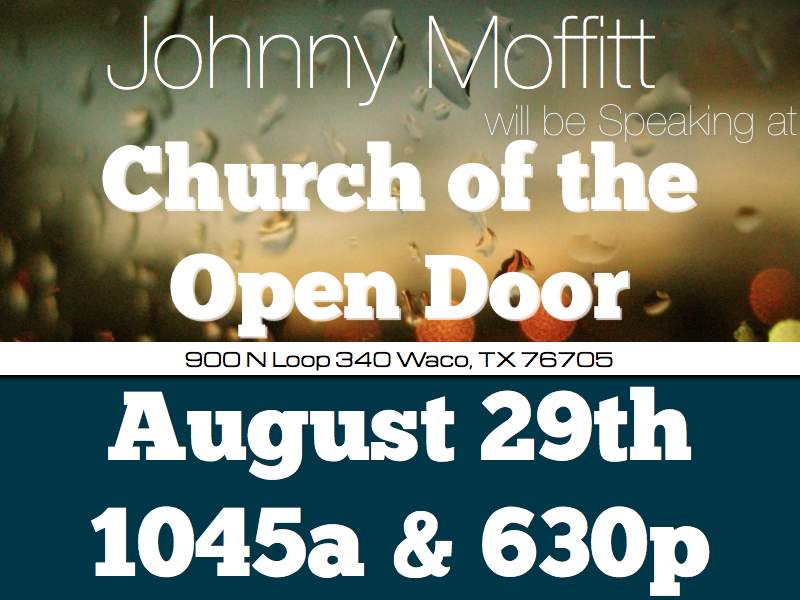 and I will be back in Ft Worth April 14th at City Gate Church. 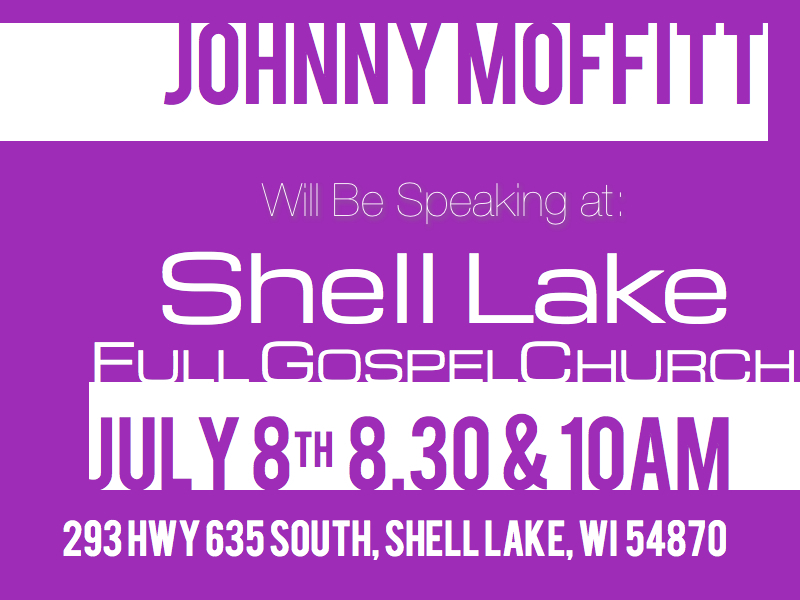 Johnny Moffitt will be speaking July 8th at 830 and 10 am at Shell Lake Full Gospel Church. Those responsible for cutting the state budget have targeted chaplaincy, and have “zero funded” this entire department from the Texas Department of Corrections. Chaplains in the State of Texas are trained professionals who manage the religious programs in each Texas Prison. They help to manage 18,000 volunteers, most of which are helping to bring real life change to inmates. The short sightedness of this decision cannot be underestimated. The dedicated service of these volunteers is in the hundreds of thousands of hours and results in an estimated $12.6 million of free service in Texas Prisons each year. And the lives of thousands of inmates whose lives are positively impacted or dramatically changed each year is a real saving to the State. Each inmate who turns from crime and doesn’t re-enter the system, due to the work of chaplains, and the programs they manage, will save the State tens of thousands of dollars in court and prison costs. Those saving will be potentially eliminated if the chaplaincy program is ended. In fact, all a Chaplain has to do to recoup his entire annual salary is to influence one prisoner each year to give up his/her criminal activity. One senior Prison official said that if the chaplaincy program is cut, the program will have to be managed by a correctional officer or a secretary, who will also be responsible for recruiting volunteers. It is widely believed that volunteer service will then necessarily drop off dramatically. Chaplains also provide “Pastoral Care” for everyone in these correctional facilities. This is a high stress work environment, and the pressures on the families of correctional officers are significant. It is difficult to find a community of 500 people in America which does not have pastoral care. Such care will be very hit and miss without the Chaplaincy Department. What Do You Say? Tell them that it is critical for Texas to continue to fund the Chaplaincy Department, with at least one chaplain in each prison, and that a failure to do so will cost the State much more over the long term than in any perceived budget savings now. Time is Critical HB 1 has Chaplaincy listed as “zero funded” … which means if it is not “funded” in House Bill 1 (the Appropriation Bill), and not “funded in Senate Bill 1( the Finance Bill), in a couple of months both the house and senate will appoint a Conference Committee to work out the differences between HB1 and SB1; It could be TOO LATE if chaplaincy is not “funded” before the conference committee. Please take a few minutes to contact the 5 officials identified above. And please pray for this issue as well, and for those in the State government who will be deciding this issue over the next couple of months.